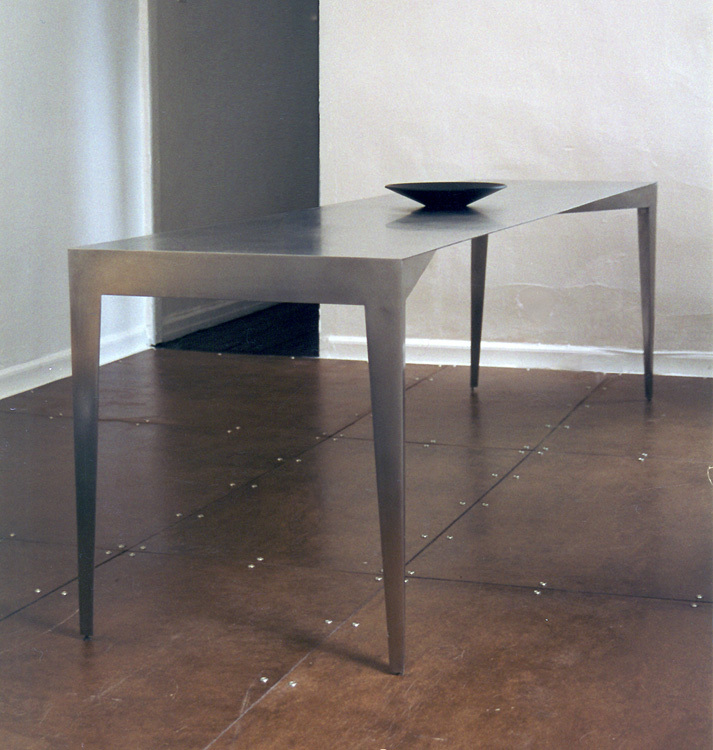 This narrow dining table is constructed entirely of 1/8” stainless steel plates. 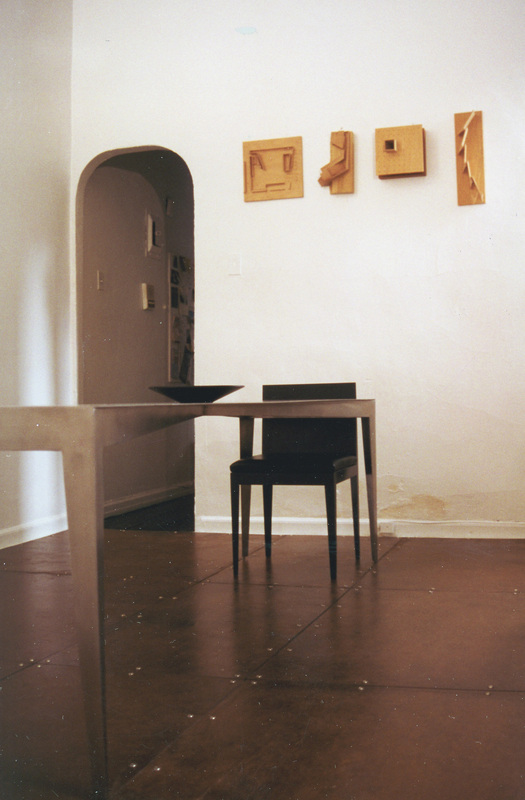 The top is designed to appear as a floating plane and is achieved by two rectangular-shaped, tapered trestles that run diagonally, expressing the thin top at the two long sides of the table. Also tapered, the four triangular legs raised above the floor by small adjustable pins add to its weightlessness. The satin, transparent quality of the steel is achieved by a finely sanded, non-directional finish.